The public discussion of DevOps as a movement empowering organizations to encourage collaboration between IT departments in order to enable automation and expedite business objectives, will have subdued in five years’ time, and probably well earlier. This according to Keith Pleas, DevOps Architecture Senior Manager for the global IT consulting firm Accenture, in an interview at DevOps World 2018 in San Francisco for The New Stack Makers podcast. Everybody would like to be the “miracle worker” in the IT operations side of the organization that saves the day and sees projects through on time, Pleas acknowledged. “But the challenge is, technology is moving against that. 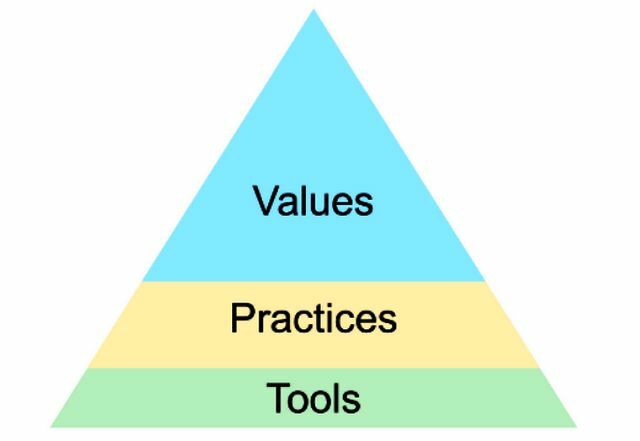 Last year in his Accenture blog, Pleas introduced a diagram which he describes as “a top-to-bottom approach:” a three-striped triangle [shown above] with Values on top, Practices in the middle, and Tools on the bottom. It’s obviously designed to be a discussion starter, since he printed it on the back of his business card, and made sure I saw it before I switched on the microphone. (I refer to it during our interview as “this little guy.”) What’s extraordinary about this model is how little description there is for it. Sequence is significant, the blog post tells us, and Values being on top means everything. But everything is only so much, as our discussion found us presuming, especially given its bearing to the topic of DevOps. One’s strategy toward DevOps, it would appear, is an indicator of whether that organization considers its values or its infrastructure as foundational. Pleas has become personally involved with a movement on the side called “DevSecOps,” which he described as layering the “non-functional requirement” of security into the DevOps mix. DevOps grows, he asserted, by means of a system capable of being delegated new responsibilities as needs arise, in turn growing the system. Yet inevitably, he went on, this system inspired by Dev + Ops will consume at least one tail of it. Learn more about Keith Pleas’ predictions of a transformational wave that swallows itself in this edition of The New Stack Makers, recorded during the recent DevOps World 2018 conference in San Francisco. 10:41: The phrase “Tools are a structure,” and its misinterpretation. 12:40: Redefining goals versus the cycle of collaboration. 17:39: The value of failure once reapplied to the automation stream. 23:09: DevOps as one’s lifeblood and the illusion of differentiation. 26:31: Support, testing, and the concept of putting testers and developers on pedestals. 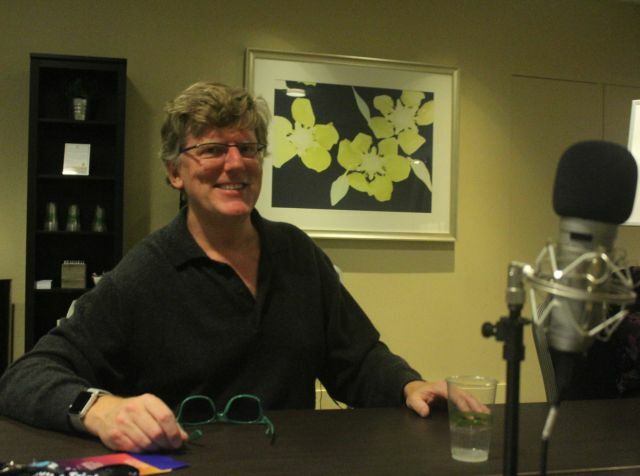 Raygun sponsored this podcast, which was produced independently by The New Stack. CloudBees is a sponsor of The New Stack.